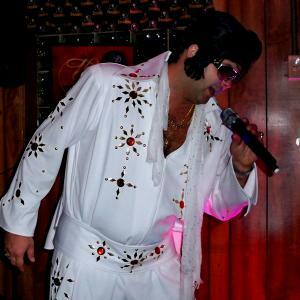 Here are some recordings taken live at our Karaoke shows, as well as a few from our Elvis and Neil Diamond impersonators. If you are interested in booking Andy or Ed for your event please give us a call. 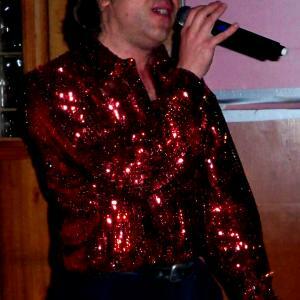 If you are a singer and look and sound like a famous artist and think you may want to try a tribute performance, we are interersted in hearing from you. Live at Zacherl's tribute show, Ed's cover of Neil Diamond, picture coming soon! 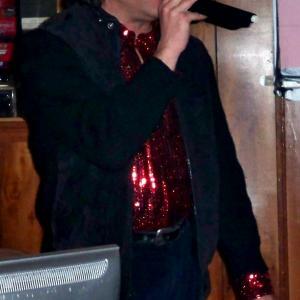 John's cover of the Eagle's "Desperado"
Disclaimer: All sound and video clips found here have been recorded live at our karaoke or tribute shows using licensed commercially available karaoke and/ or backing tracks. They were produced for entertainment only and we make no representation that the singers are the original artists. They are the sole property of Sundown Entertainment Pittsburgh and may not be copied, re broadcast, sold, or altered without our express written consent.